Our students in band worked tirelessly and prepared relentlessly throughout the year. From the Eagle Band leading tunes at football games and other school events to spring semester preparations, the Spring Band Concert presents a cumulation of our middle and upper school students’ remarkable talents. The Narthex filled with sweet sounds of classical and spiritual pieces, including “Shall We Gather at the River” and “Aria” from Suite No. 3 in D Major. Led by band director Mark Lewis, each band performed beautifully, and it was a joy to finish out the year on such a strong note! SBS choirs recently wrapped up their year with the Spring Choir Concert. They performed classics as well as recent hits from The Greatest Showman. 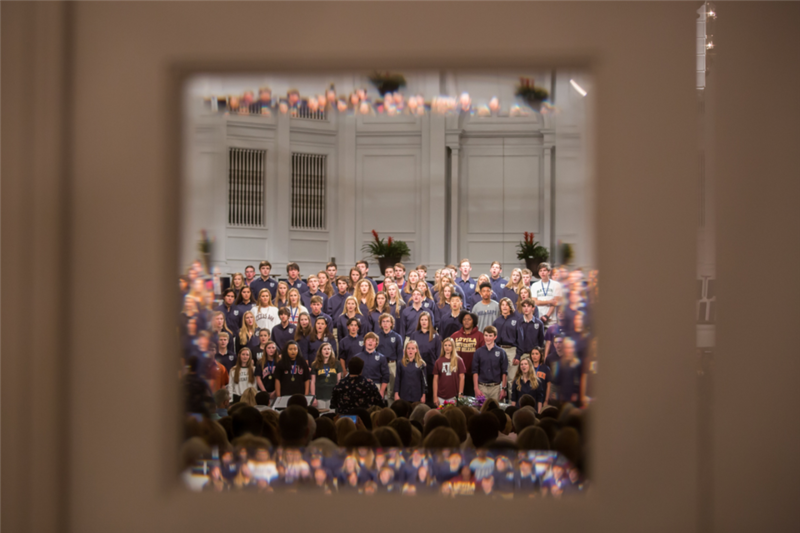 Audiences were wowed as the Sanctuary echoed with sounds from middle and upper school choirs. What followed after a brief intermission was a fan favorite and longtime SBS tradition: Senior Showcase. Seniors who wish to perform choose to sing solos, duets or perform in groups. Their last performances for SBS were engaging, memorable and filled with candor and excitement. We cannot wait to see what SBS arts has in store for the 2018-2019 school year! Click here to view photos from the Spring band and choir concerts.